WWF welcomes Taiwan’s announcement on its plan to ban domestic ivory trade effective starting 1 January 2020. The decision comes after the game-changing policy from Mainland China, the US and Hong Kong SAR, three of the world’s largest ivory trade markets, to proactively shut down their domestic ivory markets. Nairobi, 5 April 2018 - WWF welcomes Taiwan’s announcement on its plan to ban domestic ivory trade effective starting 1 January 2020. The decision comes after the game-changing policy from Mainland China, the US and Hong Kong SAR, three of the world’s largest ivory trade markets, to proactively shut down their domestic ivory markets. These new policies demonstrate the political momentum building to implement strong ivory trade bans, with the U.K. also recently joining efforts to protect the African elephant populations. “At a time when elephants are disappearing at an alarming rate due to killing for their ivory, we are glad to see governments stepping up their efforts to protect them. However, we must remain cognizant that illegal trade does not respect international borders. WWF calls on governments across Asia to follow Mainland China, Hong Kong SAR and Taiwan’s lead to close their ivory markets,” said Margaret Kinnaird, Wildlife Practice Leader, WWF International, based in Nairobi. China closed its legal ivory market at the end of 2017. All ivory trade in the country is now illegal, which could intensify other Asian countries’ position as a preferred market for illegal ivory under the cover of remaining legal traders. While the Taiwan and Hong Kong bans could help blunt this trend, there is evidence that domestic ivory markets in Vietnam, Cambodia, Lao PDR, Japan, and Myanmar are increasingly catering to visitors from China highlighting the need to strengthen efforts across borders. Around 20,000 African elephants are poached annually, primarily due to demand for ivory coming principally from Asia. 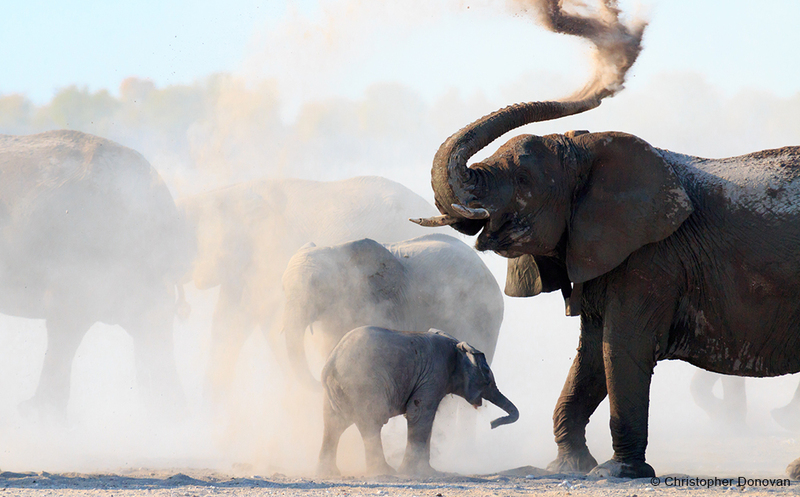 In the last decade, African elephant populations have declined by over 20 per cent, to around 415,000. As numbers plummet, loss of a keystone species like elephants also damages ecosystem health leading to greater biodiversity loss impacting wildlife, people and their well-being.